When a club rises from the second tier and enters La Liga, consolidating their place in the first division can be a difficult challenge. Like many leagues throughout Europe, it is not surprising or uncommon to see newly-promoted sides struggle to survive in the Spanish top flight. Huesca and Rayo Vallecano are at the bottom of the table, and while all signs point to last season’s Segunda winners and Segunda runner-ups going down, not all is bleak for the recently promoted sides. 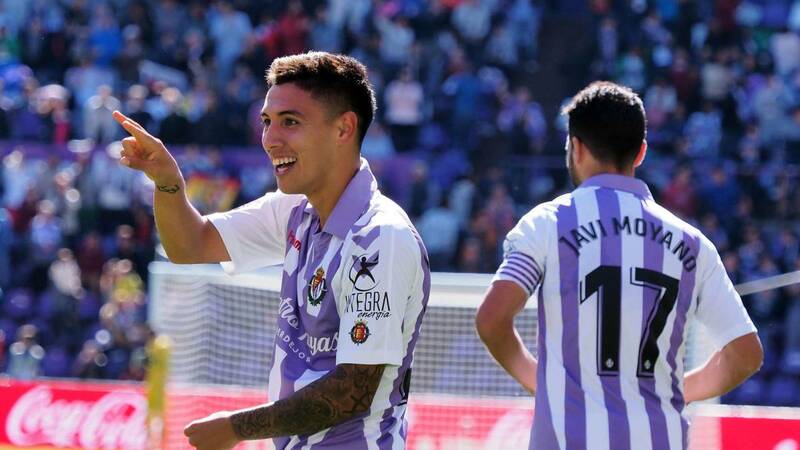 After barely sneaking into the promotion play-offs, and then winning them to earn promotion, Real Valladolid have managed to show that they truly belong in La Liga. Currently sitting in sixth place after ten matches, Los Blanquivioletas have been finding new and different ways to earn positive results. Valladolid are unbeaten in their last six league matches, securing wins in four of those as well. The only representatives of Castile and León in La Liga this season, fans have enjoyed a wild ride recently at the Estadio José Zorrilla. Manager Sergio González has been with Valladolid for less than a year, yet has managed to gain the full trust and support of those around him. 31 months removed from his last coaching job with a club, when he left Espanyol hovering above the relegation zone, Sergio was appointed on April 10, when nothing appeared to be guaranteed for Valladolid’s future in the Segunda División. With just eight weeks left, Sergio took the reins, and led them from 11th to 5th, good enough to qualify for the promotion play-offs. They routed Sporting Gijón 5-2 on aggregate in the semifinals and knocked out Numancia 4-1 in the play-off finals for a spot in La Liga. A tricky second act would present unique obstacles, and require a firm belief from the players in the manager. Sergio has seen several players contribute to their current unbeaten run, and there is a confidence that was added with a new majority owner. Brazilian legend Ronaldo took over full control of Valladolid in September, and the effect on the players has been clear as day. A side that have not always grabbed the headlines in Spain, their new owner knows what it takes to be a winner in La Liga. Sergio’s line-up features a hard-working group of individuals, and it all starts at the back. Goalkeeper Jordi Masip has been absolutely outstanding, behind only Atlético Madrid’s Jan Oblak with five league clean sheets in 2018-19. After biding his time as third-choice for Barcelona, Masip left his boyhood club as a free agent in 2017, and ever since, the 29-year-old has showcased his skills in a remarkable way. With sharp instincts and excellent positioning, Masip has been an integral part of Valladolid’s early success. Javi Moyano and Nacho have been excellent in the back-line, keeping the match in front of them and clearing out dangerous opportunities for the opponent. Their defensive discipline has been displayed just in the past few weeks, as Valladolid secured three consecutive 1-0 victories over Villarreal, Huesca and Real Betis. While the team may not score many goals (nine in ten games), their tactical preparations are putting them in the right situations. The irony of course is that, despite the greatest forward of his generation being the club owner, Valladolid do not score with ease. However, Sergio has been able to get the best out of smart summer additions. Loan moves for Enes Ünal (Villarreal), Daniele Verde (AS Roma) and Leonardo Suárez (Villarreal) have all been positive reinforcements, as each of the three have netted goals in 2018-19. After youth stints with both Barcelona and Espanyol, midfielder Rubén Alcaraz has enjoyed a promising start to the term as well. Up against fellow surprise package Espanyol at home last week, Valladolid showed that they will be motivated and certainly play right up until the final whistle. Borja Iglesias gave the visitors an early advantage, but a stoppage-time strike from Verde would rescue a point for the home side in dramatic fashion. Home losses early in the campaign to Barcelona and Alavés both came down to crucial moments, with just one goal making the difference in each result. Sergio is able to manage games effectively, and he gives his team a chance to win in almost every match. For a side that just gained promotion to the top flight, that’s all you can ask for. An interesting test will arrive on Saturday, as they visit the Estadio Santiago Bernabéu to battle Real Madrid. Los Blancos manager Julen Lopetegui has parted ways after a humiliating Clásico defeat, with interim coach Santiago Solari replacing him. With three of Madrid’s starting defenders out for the match, Los Pucelanos will be licking their lips at the prospect of upsetting the European champions, of which they are currently two points ahead in the table. Real Valladolid and their owner Ronaldo want to create a new identity and a new vision for the future ahead. If their start to the season is any indication, that transformation is already under way.